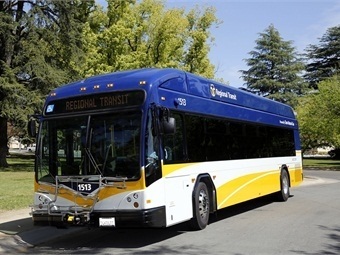 In response to a $2.7 million budget deficit projected for Fiscal Year 2016, the Sacramento Regional Transit District (RT) board of directors approved a fare increase effective July 1, 2016. RT staff presented an initial fare change proposal at the Jan. 25, 2016, board meeting. Following a 30-day public comment period, five open houses at different locations throughout the RT service area and extensive customer feedback, RT staff presented a two-phase fare change proposal at the RT board meeting on March 14, 2016. The revised fare proposal was in response to public comments indicating that two smaller fare increases over an extended period of time was preferred. After public testimony and further discussion, the RT board of directors approved a modified fare proposal. The RT board of directors voted to approve a fare increase effective July 1, 2016, but did not approve a second phase. RT staff was directed to return to the RT board of directors with additional research and options for consideration. Effective July 1, 2016, the Basic single fare will increase to $2.75 (from $2.50); the Basic daily pass will increase to $7 (from $6); the Basic monthly pass will increase to $110 (from $100); the Discount single fare will increase to $1.35 (from $1.25); the Discount daily pass will increase to $3.50 (from $3); and the Senior/Disabled monthly pass will increase to $55 (from $50). The Student semi-monthly pass/sticker will increase to $27.50 (from $25). The Student semi-monthly pass/sticker purchased at schools by students who are income eligible for a free or reduced lunch program will increase to $15 (from $12.50). The Paratransit single ride will increase to $5.50 (from $5). The Paratransit monthly pass will increase to $137.50 (from $125). Paratransit monthly pass holders will have the option to receive a maximum of 60 rides per month, or to receive a maximum of 44 rides per month and a fixed-route monthly pass.